With innovative technologies that can help you remove contaminants both large and small, SAMCO can help you protect your equipment and meet stringent discharge regulations our highly customized treatment systems. Whether you need to remove larger objects from your raw water feed such as rocks, fish, and other solids, or dissolved contaminants such as iron, copper, silica, and general hardness, our technologies cover a large spectrum of separation challenges. 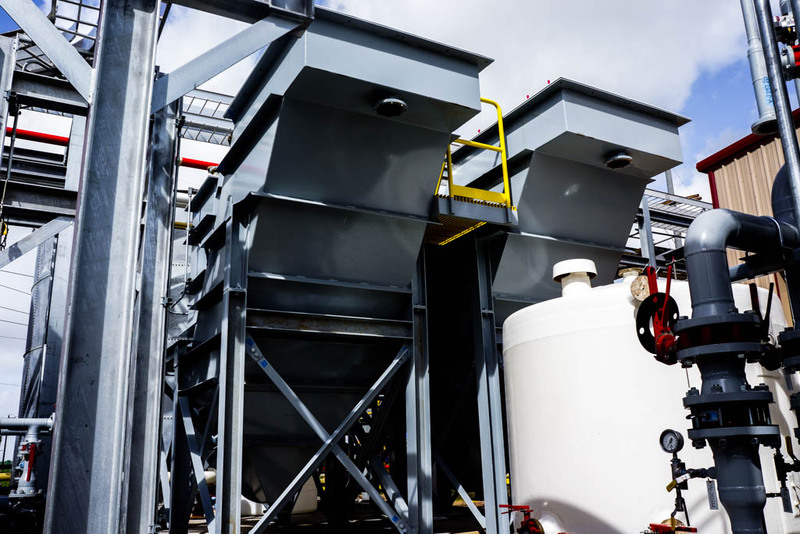 Contact us today to see if we can help you efficiently separate oil and water, settle out larger contaminants, or coagulate and remove dissolved solids to keep your processes running smoothly and maximize your production capacity. What is the best way to clean our raw water feed? We have iron in our water. How do we remove it? How do we treat our feedwater when it is seasonally too dirty to use? Our water is high in silica. How do we remove it? The feed DOD to our plant is too high. How do we lower it? What is the best way to remove fine suspended solids from our feedwater? How can we avoid cleaning our RO systems so frequently? What is the most efficient way to remove metals from our discharge? How can we reduce the TSS and TDS from the water leaving our plant? Our discharge water doesn’t meet our SPDES permit regulations. How can we fix it? What is the most efficient way to meet our POTW regulations?